Today General Motors announced that Chevrolet Beat sales crossed the 1 million figures in worldwide automobiles market. The company was introduced Chevrolet Beat in 2006 in India and received favorite car feedback from customers. General Motors India has sold more than 178,000 units of the Beat and the small car is available in 71 markets worldwide. The all new Chevrolet Beat 2014 is even more stunning! Graced with the stylish dual port chrome grille with bold front fascia, the Beat is all geared up to raise your style quotient. And its striking new Headlamps and jewel effect Tail Lamps make sure you get noticed wherever you go. 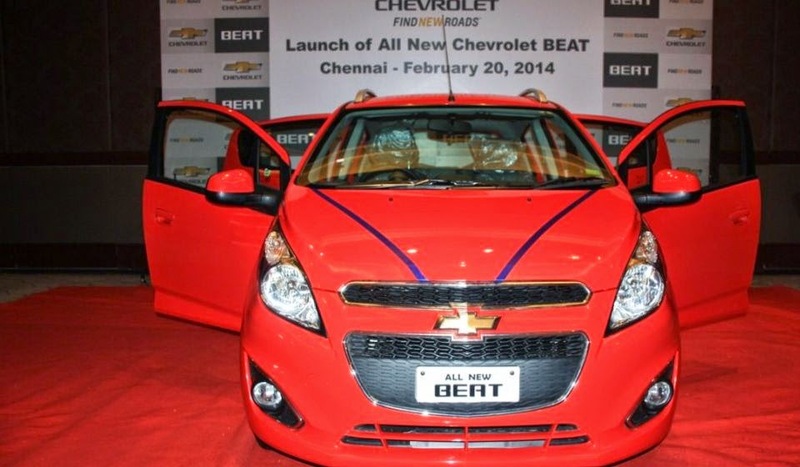 The Chevrolet Beat comes in 7 vibrant colors that complement its funky stylish exterior design to a tee. The Beat Diesel is one of the most fuel efficient cars in India that sports a powerful and dynamic 1.0 XSDE SMARTECH Engine that gives it 57.1 PS of power output and 142.5 Nm of torque.